It’s interesting that this movie begins exactly as the previous one ended, rather than weeks or months later. We see Rey holding Luke’s light saber out to him at the end of The Force Awakens; his reaction to that in The Last Jedi was, well, unexpected. A “prediction” I made in my previous review was about Rey: “I hope she’s the daughter of nobody we know. Not everyone who’s really strong in the Force has to be related to the Skywalkers”. Assuming Kylo wasn’t lying to her, that seems to be right. Maybe you can be strong with the Force even if your parents weren’t, or perhaps one of her grandparents or great-grandparents was a Jedi but she didn’t know that. I get that just like the original Star Wars, this is a story of underdogs triumphing (guessing here) over a corrupt government, but there are limits. The First Order has enough resources (both people and money) to terraform an entire planet into a weapon able to destroy other planets and to make ships as big as the dreadnought and Snoke’s monstrous ship. It stands to reason that they have thousands (or possibly millions) of soldiers, workers, engineers, etc. and all of them seem OK with building such massive weapons for the First Order. It seems unlikely that a couple of dozen rebels will be able to defeat all of them – with that many people under them who willingly participated in organized genocide, there’s more to it than just killing the leadership. I’m still not sure how I feel about Kylo Ren. In some scenes, he seems like a truly evil villain in the vein of Darth Vader, but most of the time he seems immature and impulsive, which is a dangerous combination in someone so strong with the Force. Vader was scary because he always seemed in control, while I think Kylo’s lack of control is what makes him scary. His murder of Snoke was unexpected and while he was fighting with Rey rather than against her, I thought he had turned, which disappointed me a little – it seemed too easy. Of course, I was wrong and he killed Snoke for other reasons. Throughout The Force Awakens, I didn’t know if the relationship between Rey and Finn was supposed to be romantic or just friends who have been through a lot together. Even most of the way through The Last Jedi, I wasn’t sure. The addition of Rose, and her kiss with Finn, began to answer that question. Once Rey moved the rocks and she and Finn were reunited with a strong hug, but no kiss, that completed the answer. I wouldn’t have had a problem if it was a romantic thing, but I’m kind of glad it wasn’t. It seems rare that male and female lead characters in a movie end up as friends without romance – I remember being pleasantly surprised when Tom Cruise and Demi Moore did not get together in A Few Good Men. Poe Dameron got a lot of great lines. The bit about “Still holding for General Hux” was awesome as was his request to “get in my X-Wing and blow stuff up”. I thought Maz died when the First Order destroyed her bar in the previous film, so it was cool to see her again, even if only for a minute. Question: she was in the middle of a gunfight (blaster-fight?) while talking to Poe on the video-chat-phone-Skype-thing. Where was the camera she was talking into? It clearly wasn’t a computer sitting on a table. It almost looked like there was some floating drone thing that followed her around as she hid behind things. Similarly, I liked the addition of Yoda (even though he did die, several movies ago). It was interesting to see Yoda and Luke talk more as equals rather than master and student, though Yoda is clearly still the wise one of the two. The porgs (the little half-owl half-penguin bird things) were cute and were thankfully not overused. I was worried that once we saw them, they’d be in every other scene for the rest of the movie. I thought it was interesting that they didn’t want Chewbacca to eat one of them, even though he’d already killed and cooked it. I didn’t really like the death of Han Solo in The Force Awakens, but I did say in my review that it was necessary for Kylo Ren’s character. Having seen the movie a couple more times since then, I’m OK with it. But for now, history is repeating itself because I’m not happy with the death of Luke Skywalker. It’s nice that his death was “peaceful and with purpose” but it just didn’t seem necessary. Even if they decided Luke wouldn’t (physically) return and help the rebels, he could easily have lived out his days on that island. Well, I guess he did. Carrie Fisher died last year and it’s since been announced that she will not appear in the next film. Since Leia did not die in this one, I’m not sure what they do with her. They can’t just not mention her again, and it would be sad if they killed her sight unseen. I like what they did with Benicio Del Toro’s character. You never really trusted him 100%, which turned out to be correct because he turned on Rey and Finn once they got caught. That seemed consistent with his character. If he had come back later to save the day, that would have been cheesy so I’m glad the writers didn’t go there. 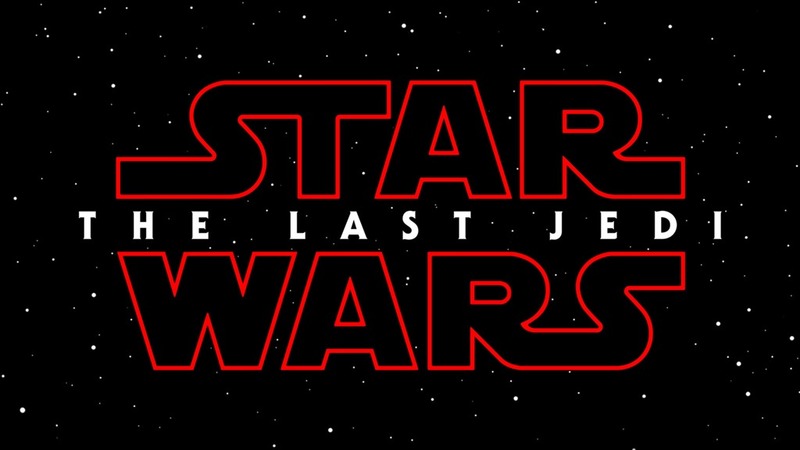 The title: The Last Jedi. Is that Luke? If it is, what does that make Rey? The word “Jedi” seems to be both singular and plural so perhaps it refers to both Luke and Rey. But if Luke is dead, then is Rey the last Jedi? Does that mean she won’t teach others in the future? Does the use of “last” here mean “the only remaining one” or does it mean “the final one”? The former doesn’t preclude the possibility of there being more in the future while the latter does. The ending: the little boy moving the broom with the Force was so subtle that it could easily have been missed. I’m curious if that boy will become an important character in Episode IX or if it was just a way of saying “there are still people throughout the galaxy that have Force abilities”, i.e. perhaps the Last Jedi isn’t the last Jedi. My biggest problem with this film: Nobody said they had a bad feeling about this. That line has appeared in every Star Wars movie up to now, even Rogue One. Update: Problem averted! BB-8 said it. My droid is a little rusty so I missed it. Long story short: I loved it. I thought it captured the spirit of the other Star Wars movies very well without being a clone (pun intended), and they seemed to know when to stop. There were nods to previous films but it wasn’t the same story repeated. There were funny scenes but they didn’t go on and on. There were cute and funny characters but they weren’t overdone. Only a little over 500 days until Episode IX comes out!